Winter is on our doorstep, the warning of snow has been in the forecast for several days. And although we've already had a little dusting it will be any day now that we get our first major storm. The coming of winter is a mixed blessing. Everyone is excited to play in the snow, and of course snow now might mean a white Christmas next month. But of course snow also means slippery roads, damp snow gear, and lots of shoveling. No matter how you're feeling, winter is coming. 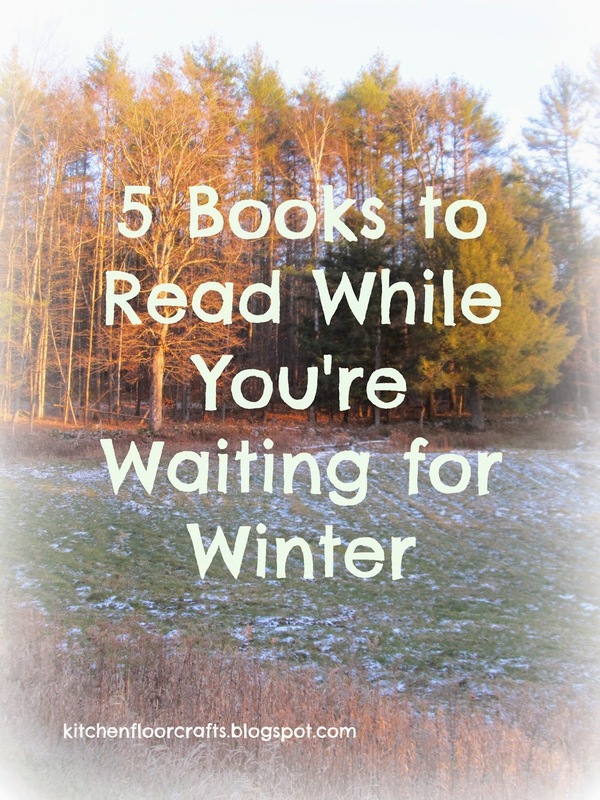 Here's our recommendation of 5 books you can read while you're waiting for winter. Some these books I've enjoyed reading in my classroom over the years, and others are books we've recently been exploring. Of course, there are many more that get you in mood for winter, but these books look at either preparing for the winter, or the first snow fall. Animals in Winter helps us to learn what animals do as they prepare for and survive the long winter. I used this one often in my classroom as kids loved learning about the different animals and then looking around outside to see if they could notice any of these animal activities. Time to Sleep is also a tale of animals getting ready to hibernate. We've read it not only in the fall, but also in the spring when we rewrote it as in a Time to Wake Up Activity. In this tale each of the animals tell each other it's time to sleep. One little snowflake begins to fall in Snow and almost nobody believes it will amount to anything, well almost no one except a boy and his dog. Captures the anticipation and excitement for children of the season's first snow in simple text. When the first snow comes the adults are busy doing practical things in White Snow, Bright Snow but the children are busy having fun. A child goes for a walk with her family and explores what is happening to nature in the book When Winter Comes. Told in simple rhyme the book explores different elements of plants and animals in winter. These few books are no longer available new, but you might be able to find them at your local library. Tells the story of nature coming, from the first cool breeze of fall to the first big snow storm. Little Winter is waiting for his father, Father Time, to play. While he's waiting he creates a beautiful winter for all to enjoy. Moses' family is busy getting ready for winter, yet he's distracted by things like songs and pebbles. Will these things prove to be useful in the end? So what about you, are you ready for winter and snow? pinned!! Can't wait to check these at our library! Glad you're going to try and enjoy them!